Overview for the SentrySafe Extra Large Fire Safe 1.23 cu. ft. The SentrySafe Extra Large Fire Safes 1.23 cu. ft. are resistant to impact, fire, and water and have a capacity of 1.23 cu. ft. (34.8 liters). This safe can survive an hour in a fire of up to 1700°F. 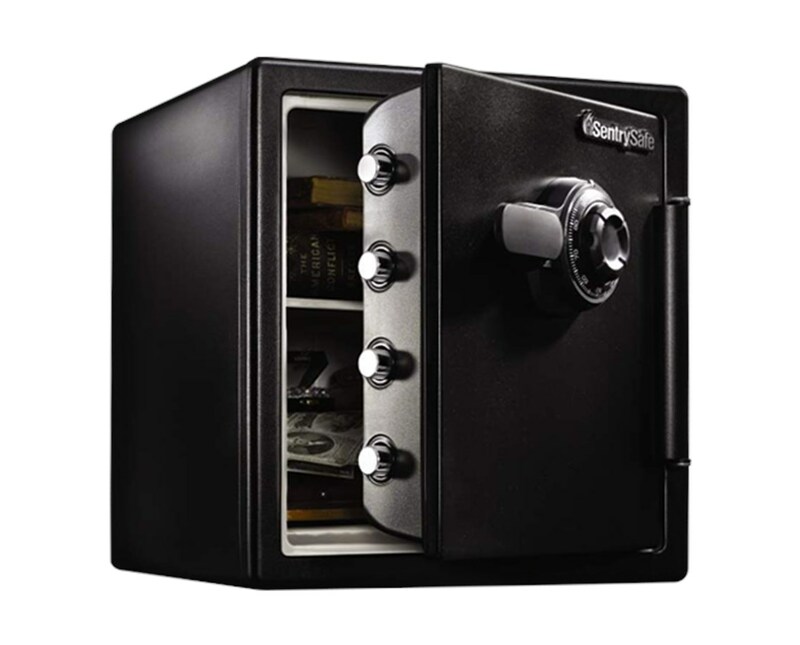 It has 4 live-locking bolts and a pry-resistant door design for protection from forced entry. It also has different types of lock available, such as combination dial, programmable digital with or without USB connection, fingerprint or biometric, and touch screen with alarm. This fire protection safe has multi-position shelf, locking drawer, door pocket, and key rack that enable you to organize its contents. 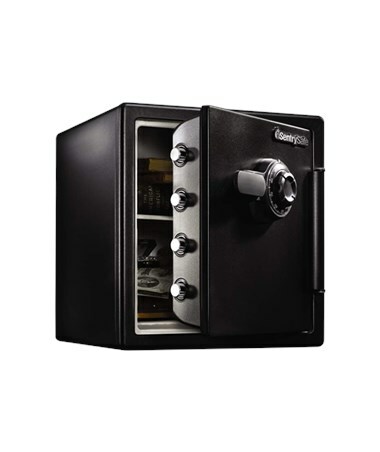 It may also include a bolt-down hardware which prevents unauthorized removal of the safe. Digital locks have backlit keypads and the USB connections protect digital media such as hard drives. Certain types with alarm give off loud audible alarm signals if a movement, physical attack, or five wrong key code attempts are entered. This fire safe is made of steel which makes it durable and reliable. It is ETL verified for water submersion and impact resistant and Underwriters Laboratories (UL) testing certified, which makes it good in the unpredictable conditions of fire and flood. The SentrySafe Extra Large Fire Safes has options for lock type and style. Please select your preference from the drop-down list above. Features for the SentrySafe Extra Large Fire Safe 1.23 cu. ft. Specifications for the SentrySafe Extra Large Fire Safe 1.23 cu. ft.
SentrySafe Extra Large Fire Safe 1.23 cu. ft.